Sharing artists I've come across is one of my favorite things to put on the blog lately. 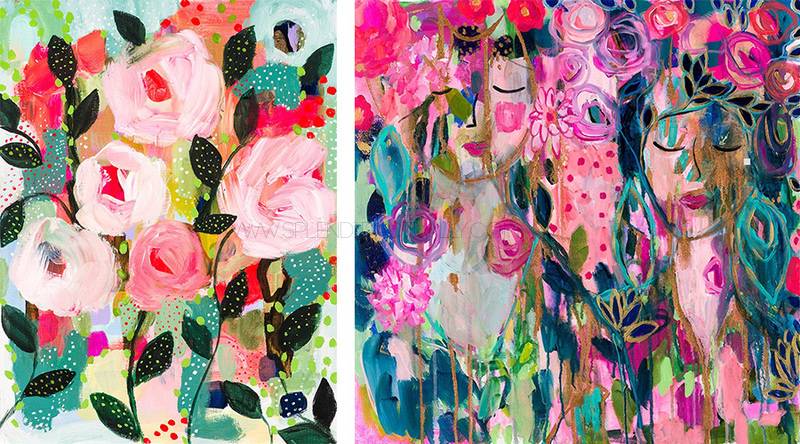 When I came across today's artist, Carrie Schmitt, I knew for sure you guys would love her like I do. She recently renovated an old school bus into a mobile studio and it is STUNNING. Guys, I can't even! Go take a look at her webpage or her instagram to see all the magical things coming from this school bus. 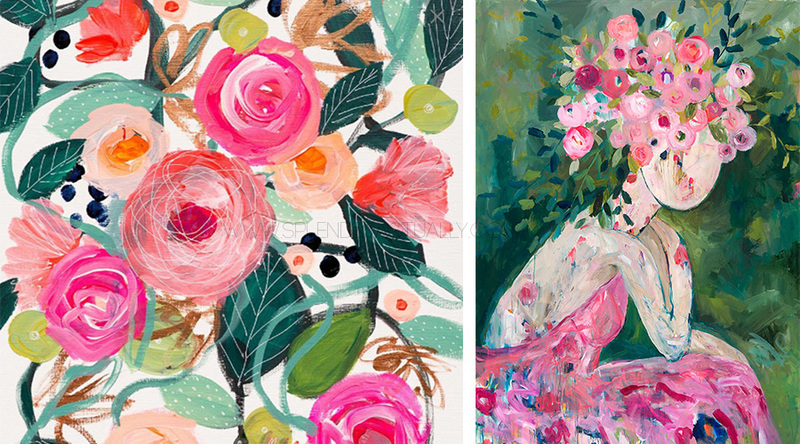 Carrie's style speaks to my feminine soul with lots of pink and floral expressions. She also does art retreats and I'm dying to go to the one in Cincinnati next April. It just sounds like the best escape from reality, investing in yourself, and stirring all the creative energies you could get. 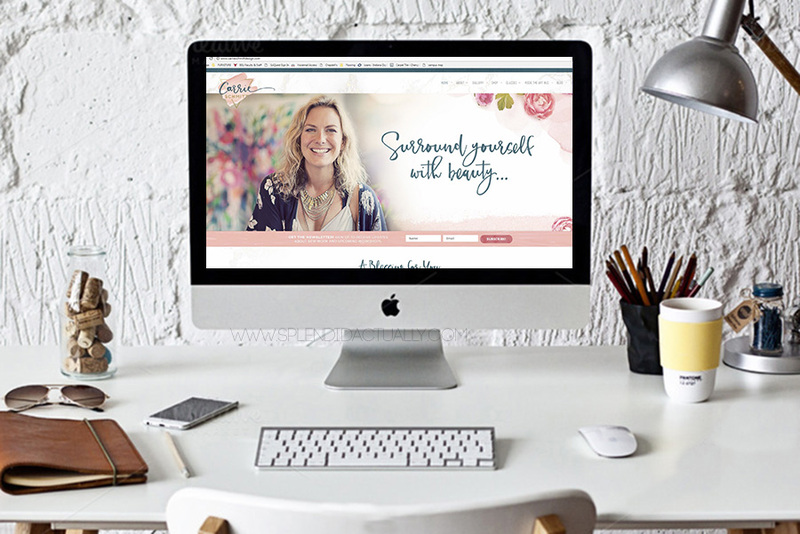 Her gallery is full of options for you to shop, from prints, to canvas reproduction, to products like cards and journals. Go show her some love.